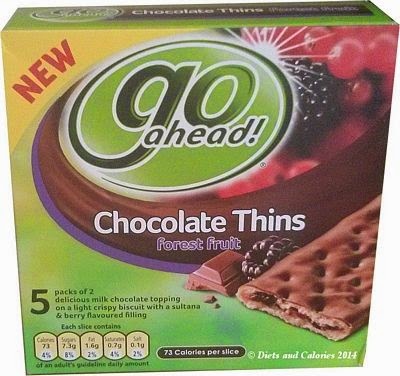 Go Ahead have introduced a new variety to their Chocolate Thins range, called 'Forest Fruit’. Flavours already available include Strawberry, Red Cherry and Orange. Like the others (see review), boxes contain five packs of two crispy biscuits with a fruit filling and milk chocolate topping. Each Chocolate Thin slice has 73 calories. I haven’t been buying this sort of snack for some time as I’m trying to keep my sugar consumption to a minimum. 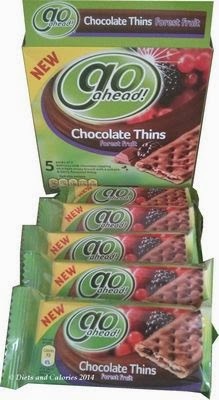 But, while browsing around Poundland, dropping random goods into my basket, mostly impulse buys, (as you do), there, perched on a shelf, on its own, was this New variety of Go Ahead Chocolate Thins. Helpless to resist the bargain £1 price, into the basket it went. So what are they like? All in all, very much like the others in the range if you’ve tried them. Chocolate Thins consist of two light crispy biscuits, sandwiched together with the filling, in this case, sultanas and berries. 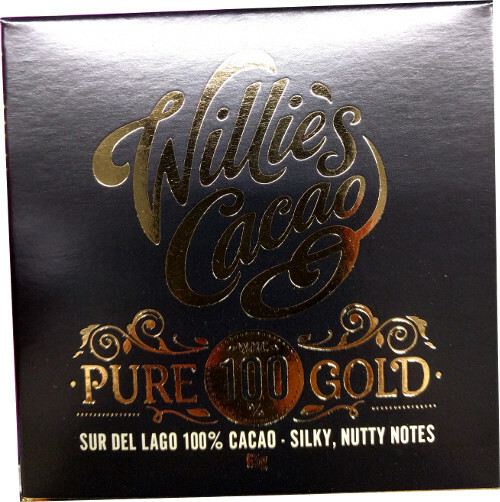 Then the top has a fine covering of milk chocolate while the underside is left plain. To be honest, I’m not crazy about dried fruit, but the filling is very finely spread inside the slices, just adding a sweetness and chewy texture to the biscuit. 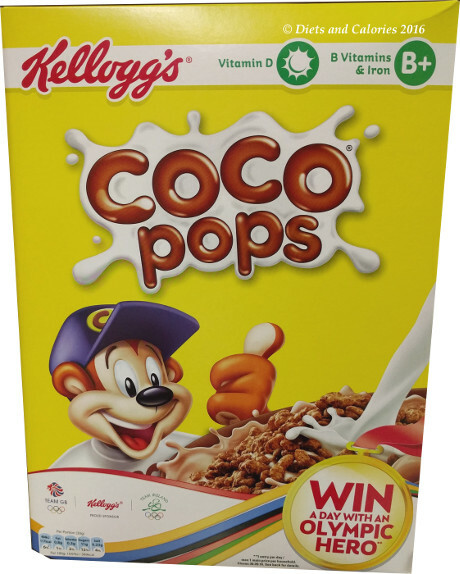 I love the chocolate flavour on top which is just enough to provide a sweet, chocolatey taste without adding loads of extra calories. Some advice provided on the pack: Eat Healthily: Snacks can be enjoyed as part of a balanced diet of carbohydrates, fat, protein and fibre, including plenty of fruit and vegetables. 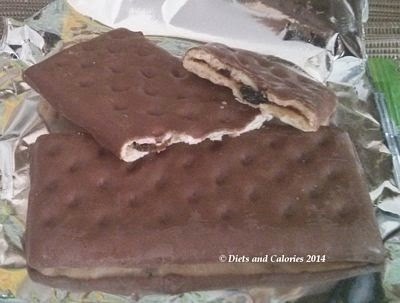 If you’re counting calories, remember that the 73 calories is per Chocolate Thin and NOT per pack which has 2 slices inside. Nutrition Information per Slice: 73 calories, 1.0g protein, 13.4g carbs, 7.3g sugars, 1.6g fat, 0.7g saturates, 0.6g fibre, 0.1g salt. 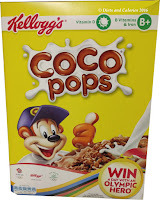 Other Information: Contains Milk, soya, gluten. May contain nuts, sesame seeds, egg.